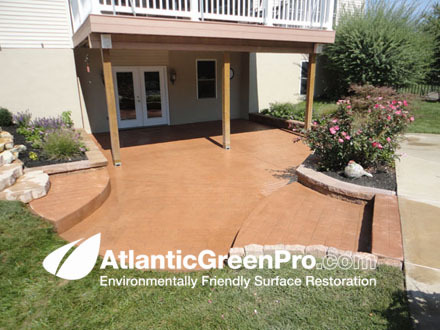 No one knows stamped concrete surface restoration better than AtlanticGreenPro. 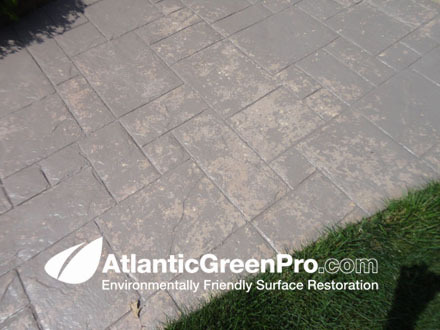 We were the first to do stamped concrete stripping and we've been doing it the longest. 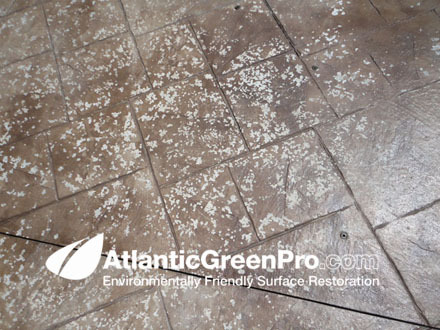 AtlanticGreenPro was the original innovator in stripping and removing failed stamped concrete sealer. 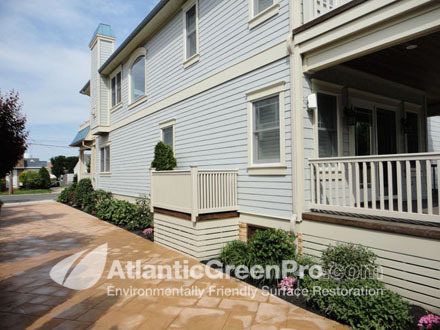 Our team of professional utilizes the best and safest processes to remove failed sealer from most any surface and we do it without damaging the environment with harmful contaminates. 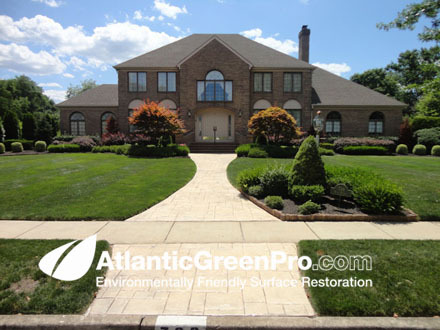 In the beginning our business was built solely on the Green wet abrasive blasting process which at the time was the fastest, safest and cleanest way to remove most any surface coating we discovered along the way that the process was also the safest way to strip stamped concrete sealer without damaging the surface with the details. 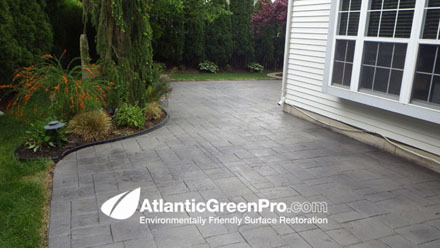 Moorestown New Jersey Stamped Concrete Restoration. 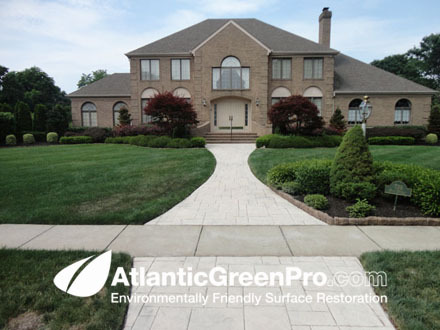 This was a home in Moorestown New Jersey which had failed stamped concrete sealer. To make the problem even worse was that multipul layers of sealer were applied trying to correct the problem with the client finely appling an opaque sealer shich ended up looking like paint. 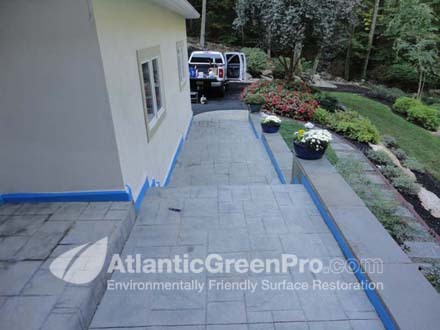 Atlantic Green Pro came in and removed the failed sealer allowing for new sealer to be applied to a clean base. 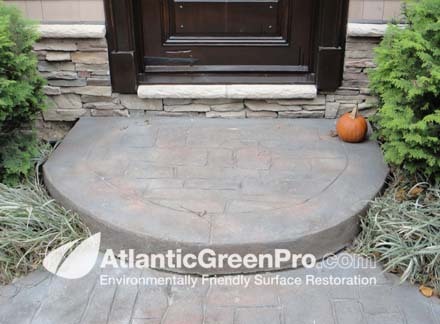 FAILED STAMPED SEALER: It's ugly and it's worse when you have friends over and they comment on how bad you're stamped concrete looks. 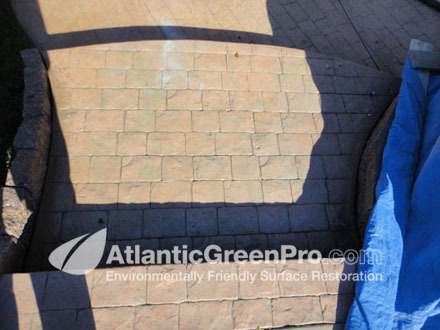 After Atlantic Green Pro Surface Restoration Our proven wet abrasive blasting process is the only known method that safely restores your stamped concrete to better than new condition. 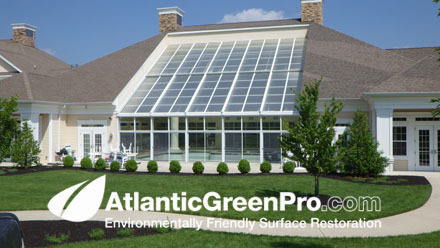 We also offer the complete package of tinting and resealing as well as just stripping. After we reseal it We do what is known as antiquing where we repigment the concrete which brings out the shadows and highlights. That's followed by applying new sealer which brings your stamped concrete back to it's original condition. 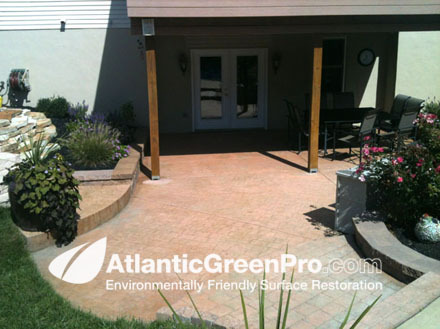 Before many FAILED stamped concrete projects are on homes like this one. After resealing We then perform what is known as antiquing where we repigment the shadows bringing out the highlights. That's followed by applying new sealer which brings your stamped concrete back to it's original condition. 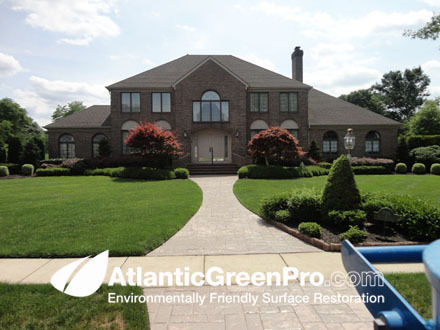 Monroe New Jersey Stamped Concrete Restoration. 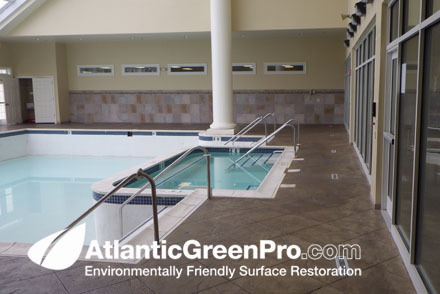 This was a indoor swimming pool in Monroe New Jersey which had failed stamped concrete sealer. 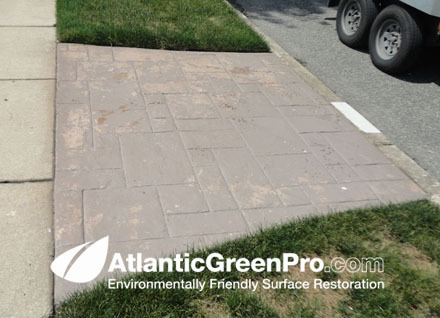 Atlantic Green Pro came in and removed the failed sealer for Split-Roc Stamp Concrete allowing them to retint and reseal. 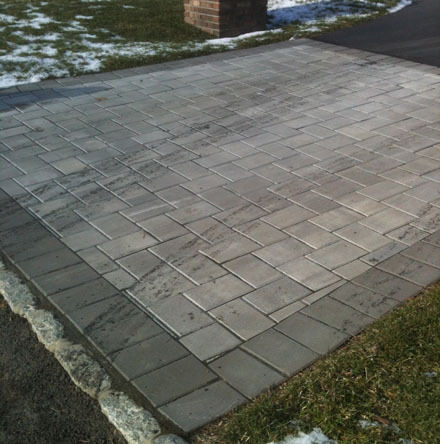 FAILED STAMPED SEALER: This was the ugly stamped concrete as it looked when we arrived. 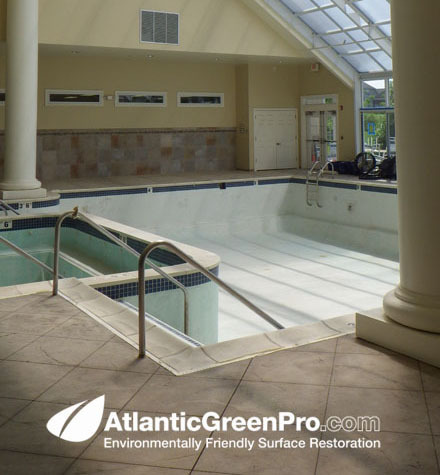 FAILED STAMPED SEALER: was on the pool deck of this indoor pool requiring special prep to keep the area clean. 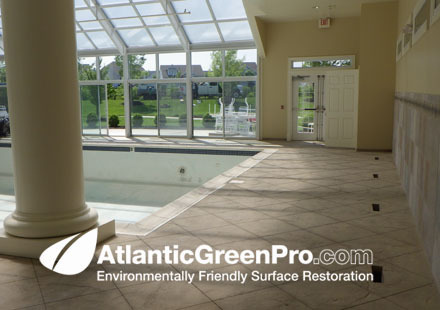 FAILED STAMPED SEALER: Another view of the indoor pool deck before we blasted it. After Blasting, Tinting and resealing. 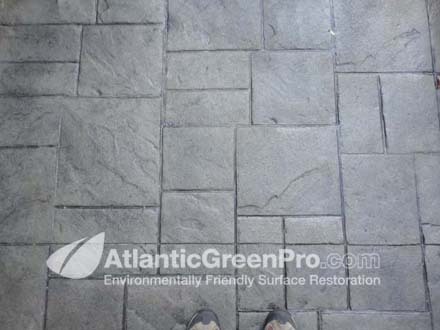 The stamped concrete looked better than new after blasting, tinting and resealing. After Blasting, Tinting and resealing. 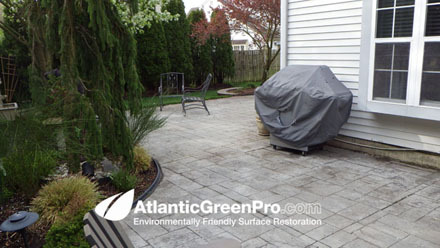 The stamped concrete again looked richer after blasting, tinting and resealing. 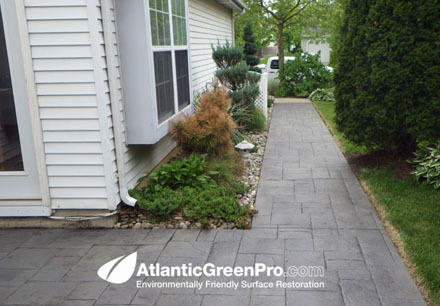 Here's another recent project we did where we removed the failed stamped concrete sealer, that was then followed up with retinting and resealing. 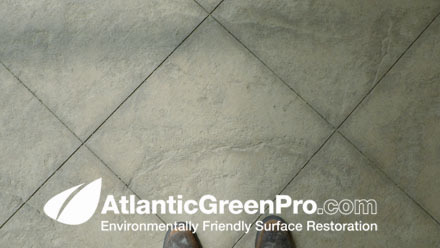 Our proven process is the only known way to correct failed stamped concrete. 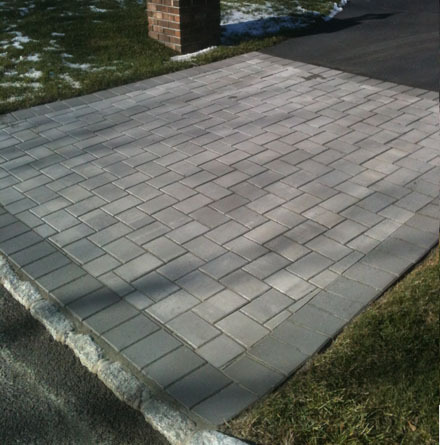 FAILED STAMPED SEALER: It's ugly and it's worse when you have family and friends over who comment on how bad you're stamped concrete looks. AFTER SEALER WAS REMOVED: This gives you an ide of what to expect. This is after the sealer removal and befor retinting and resealing. 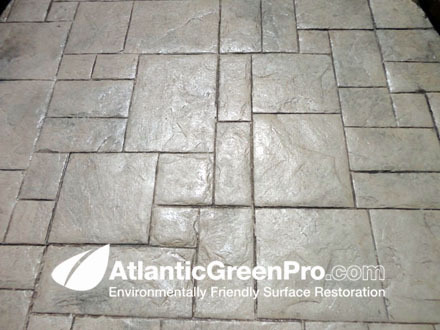 Stamped concrete has been retinted and resealed: Our proven process isthe only known way to restore failed stamped concrete to better than new condition. 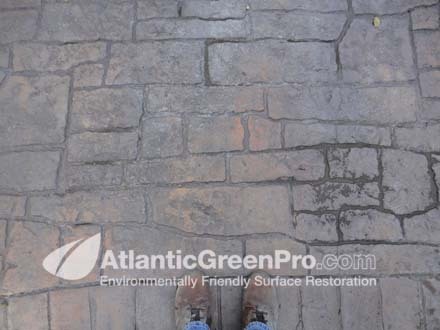 Failed Stamped Concrete before restoration process. 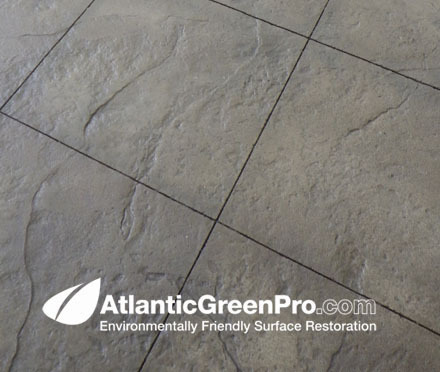 As you can see the sealer had pock marks where the sealer became delaminated from the concrete surface, our proven process is the only known way to correct the problem once and for all. This is after the sealer removal and prior to retinting and resealing. The walkway prepped and ready for retinting and resealing. 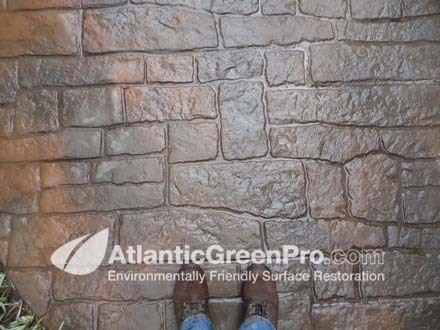 This is after the retinting and resealing: Our proven process is the only known way to restore failed stamped concrete to better than new condition. 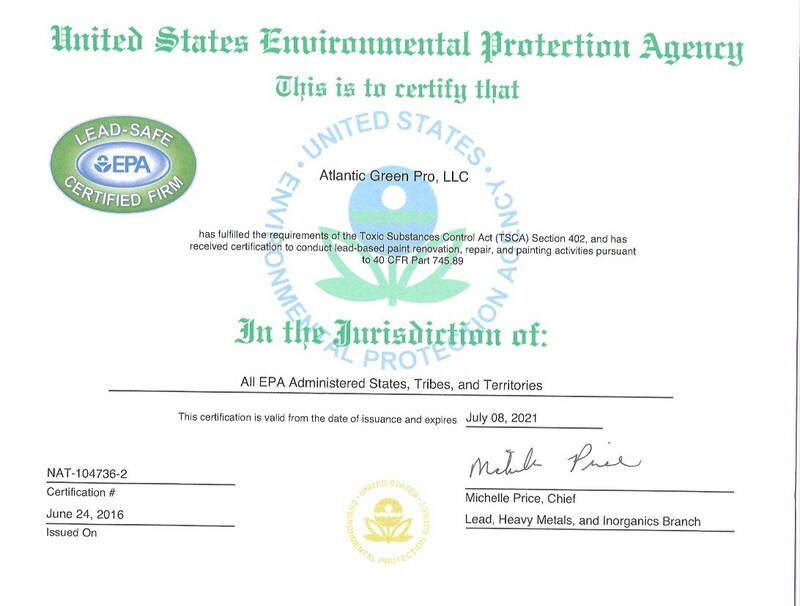 FAILED STAMPED SEALER: As you can see in this photo we cover your plants and landscaping so that none of the old sealer gets into your plant beds. This is after the sealer removal and prior too retinting and resealing. The walkway prepped and ready for retinting and resealing. The final product...better than new! 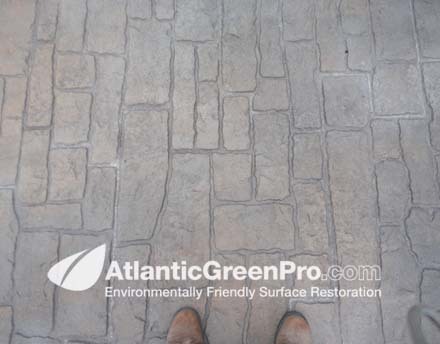 : as you can see the stamped concrete now has it's original luster but the surface has more of a natural look because our wet abrasive process puts a slight profile in the surface duplicating only what mother nature can do.... not just that, but now your NEW sealer has the perfect profile for permanent sealer adhesion. 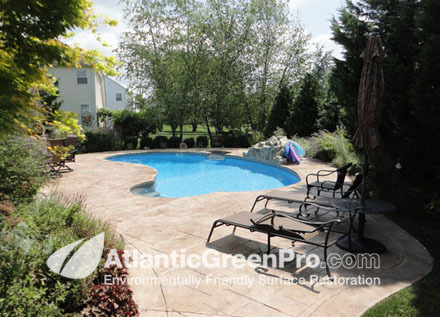 A lot of our work is with some of the regions preimer stamped concrete contractors. 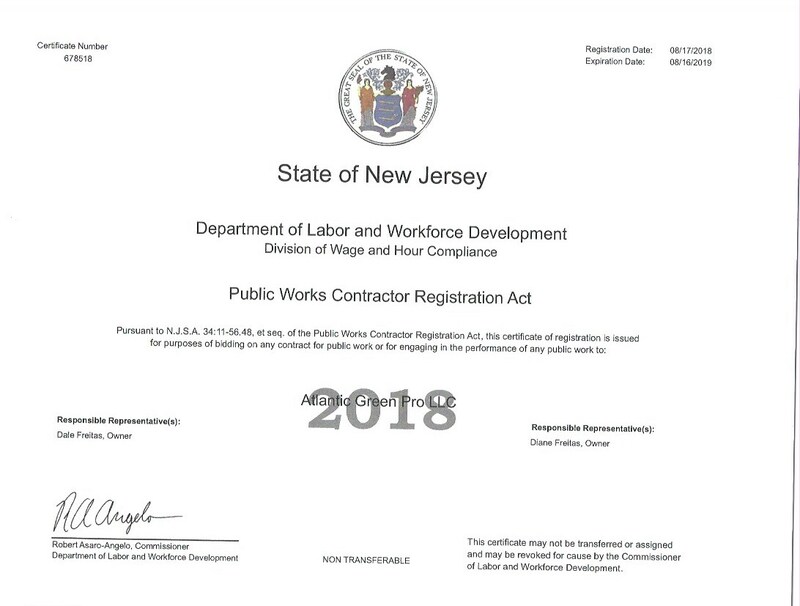 They call us, because we're the only company that get's it right. Here's a job we were brought in to just remove the sealer and the contractor handled the retinting and resealing. 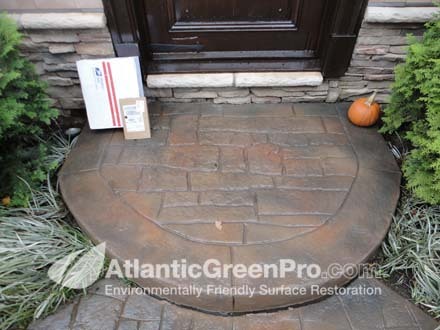 FAILED STAMPED SEALER: Yes it's ugly but we see a lot of bad stamped concrete that looks like this. 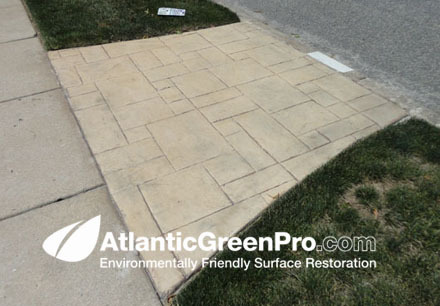 Sealer removed from stamped concrete prior to retinting and resealing. The patio prepped and ready for retinting and resealing. 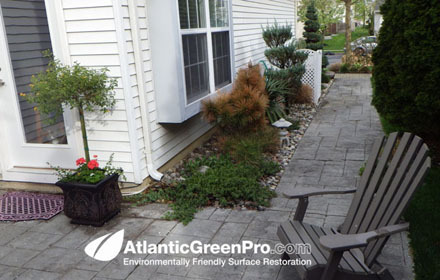 This is the landscaped patio prior to having the sealer stripped. After surface restoration: Here you can see what the process looks like after we remove the sealer prior to retinting and resealing, which was handled by the contractor who brought us in. 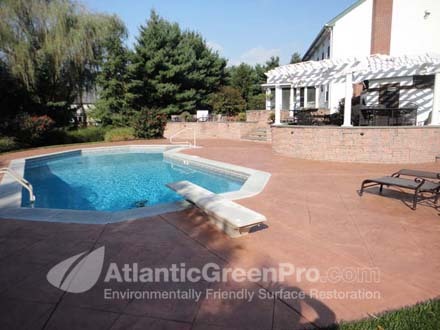 Redbank New Jersey Stamped Concrete Restoration. 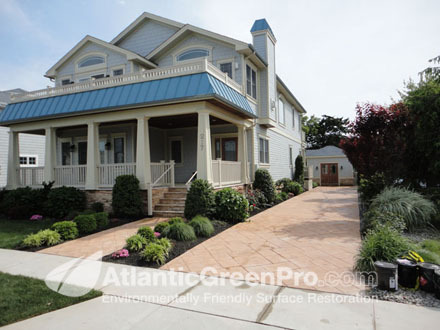 This was a project we did for Split-Roc Construction one of the preimer stamped concrete companies in the tri-state region, The project was in a very upscale neighborhood in a water front community Red Bank NJ. Dust was critical and again our proven wet abrasive blasting process was the solution. 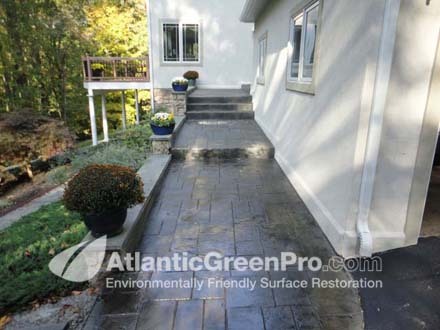 Exterior of Redbank Home that backs up to wateway..
Failed stamped concrete sealer: This is what the surface looked like after years of reapplications of sealer by different contractors using different types of sealers. 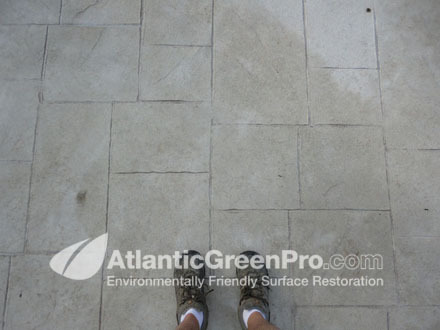 After Stamped Concrete Sealer Was Removed: This is what the surface looked like after Atlantic Green Pro removed years of failed sealer with our wet abrasive plasting process. 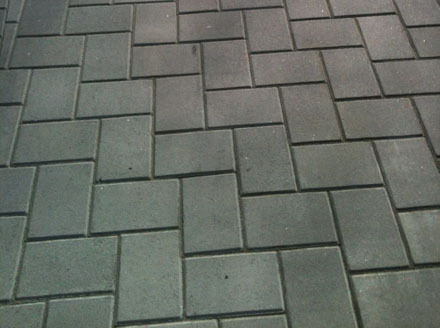 Same surface after resealing: Here you can see the surface after Split-Roc resealed it with their new and improved sealer product. 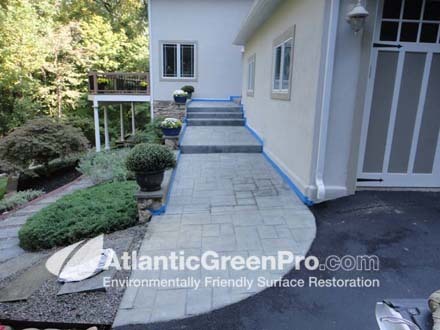 Another After Photo Where Stamped Concrete Sealer Was Removed: Again this is the surface after Atlantic Green Pro removed years of failed sealer with our proven dust free wet abrasive plasting process. Same surface after resealing: Here you can see the surface after Split-Roc Concrete resealed it with their new and improved sealer product. Robinsville New Jersey Stamped Concrete Restoration. 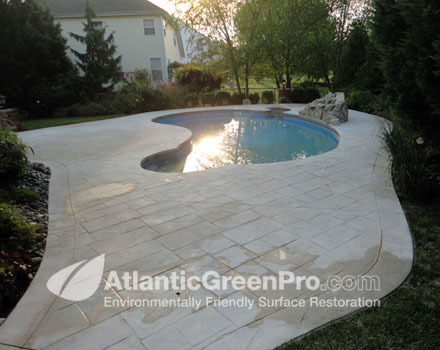 This was a large 400 square foot stamped concrete sealer removal project around a swiming pool that we were called in to do with Split-Roc Concrete. 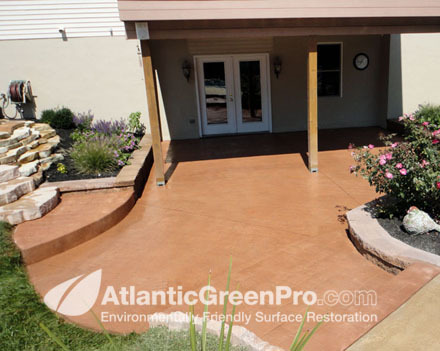 The original stamped concrete contractor used an opaque sealer product that made the surface of the concrete look artificial. 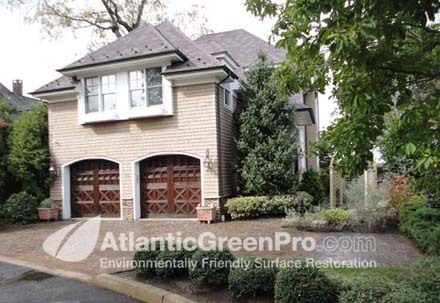 Split-Roc had us remove the old failed sealer so that it could be retinted and resealed with new and improved sealer. This is the projecet as it looked finished. 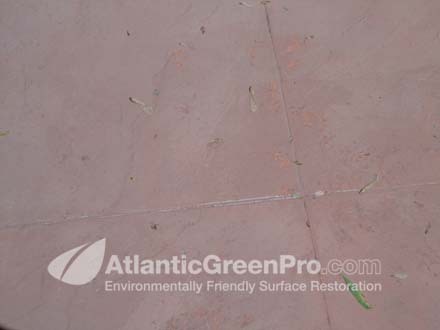 Before: This is what the surface looked like prior to Atlantic Green Pro removal of the failed sealer with our wet abrasive blasting process...As you can see everything was flat and sealer was becoming delaminated in spots. 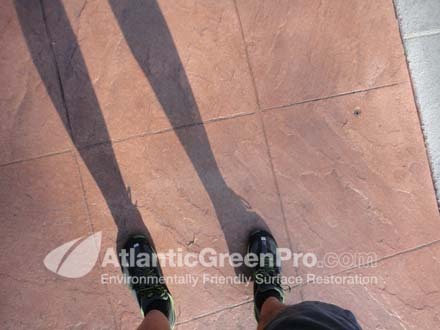 After surface restoration Here you can see what the project looked like after Atlantic Green Pro removed the failed selaer and Split-Roc Concrete did the retinting and resealing... sorry about the leg shadows. Project as it looks today This is the final product as it looks today, note that the opaque look is gone and the details of the stamped concrete have been enhanced as well as looking more natural because of the profile created by the wet abrasive blasting process...another successful surface restoration. 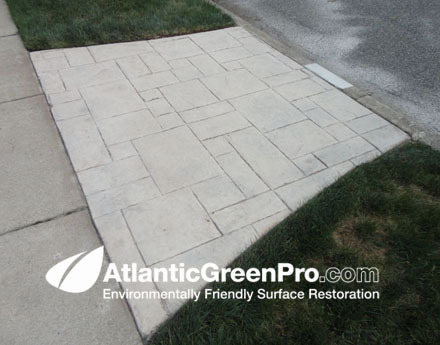 Stone Harbor New Jersey Stamped Concrete Restoration. 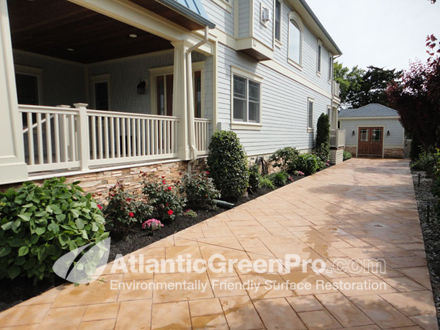 This was stamped concrete project we did for a stamped concrete contractor that had a failed sealer problem down in Stone Harbor NJ. Unfortuntly we don't have before images. Walkway and Driveway after sealer was removed This is the area where the failed sealer was, note the zero property line and the lush landsccaping... all critical on this project. Walkway and Driveway after sealer was removed This is nother angle of the area area where the failed sealer was, note again the lush landscaping... and again all critical on this project. 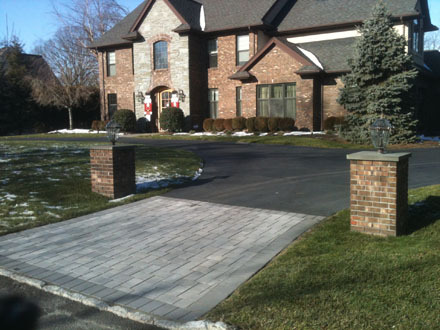 Walkway and end of Driveway and Walkway leading to swimming pool. Again this was critical, the client had expensive wood doors butting right up to the stamped concrete surface. Driveway as it looked when we were done. This project was unique in that our client tried stripping a 10'x10' section of the failed sealer with a chemical process that took a better part of two days to do with a lot of the sealer still on the concrete. He had spent a couple of thousand dollars on on the stripper alone and that didn't even include the time of his workers that would have been their for a few days. 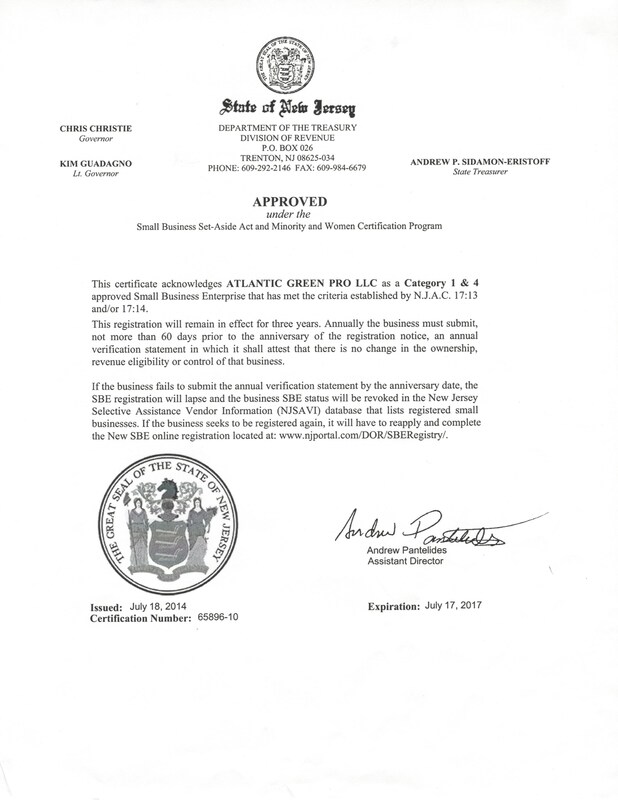 Atlantic Green Pro process doesn't use nasty chemicals and is totally green in everyway... not just that, but it saves you a lot of money and time. 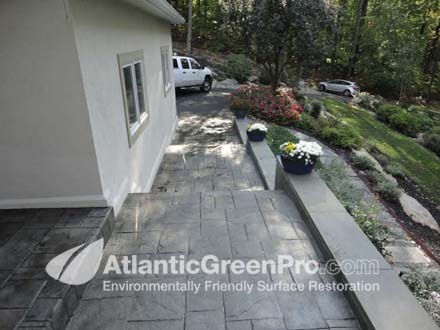 Mount Laural New Jersey Stamped Concrete Restoration. 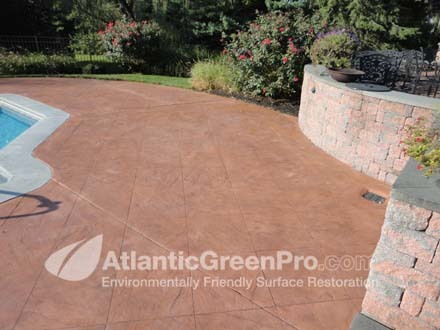 Stamped concrete surface after restoration. This is what the surface looked after we blasted, tinted and resealed it. 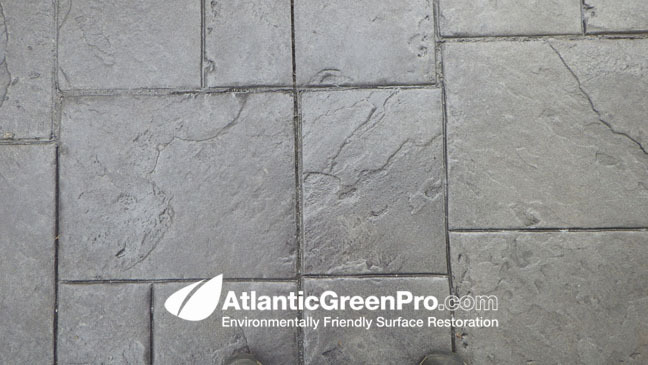 Failed stamped concrete sealer: This is what the surface looked like after 15 years of use. 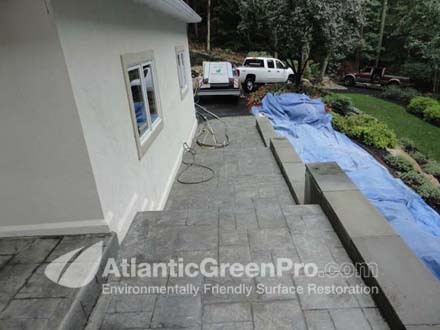 Woolrich Township New Jersey Stamped Concrete Restoration. This is another one we were called in on. 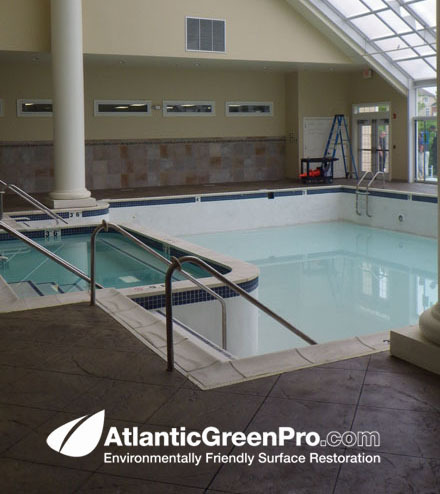 The sealer had failed and the client wanted the surface looking new again, Atlantic Green Pro came in and wet abrasive blasted the project, followed up by retinting and resealing. Before This is what the sealer looked like when we arrived, there was sealer delamination as well as sealer failer caused by prior misapplications of sealer, the only solution was to remove the failed sealer, followed by retinting and resealing. 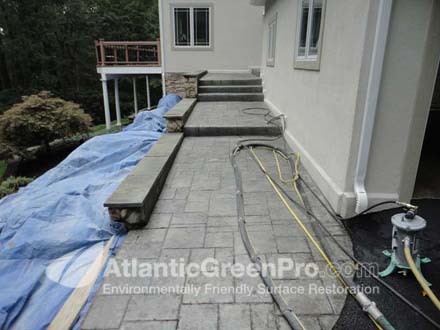 After Failed Stamped Concrete Sealer was removed: Here you can see the scope of the project and what the jobsite looked like after we performed our proven wet abrasive blasting process. Before Surface Restoration : Here you can see what the surface looked like prior to wet abrasive blasting. 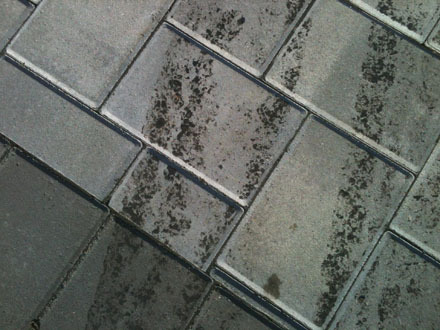 After Surface Restoration : Here you can see what the surface looked like after our wet abrasive blasting process... Note how clean the surface is and that there's no sealer left. After surface restoration: This is the last picture we have on this, final tinting and resealing will be early spring 2013. 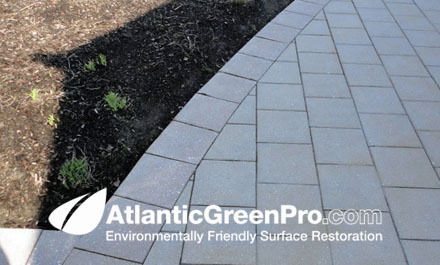 Atlantic Green Pro removes asphalt tar stains from pavers. 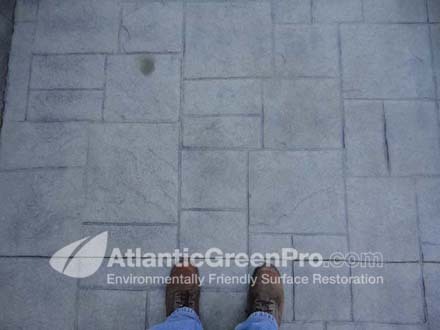 This is recent job we did where our client tried every method possible to remove asphalt tire marks... on what appeared to be colorcast stone pavers. 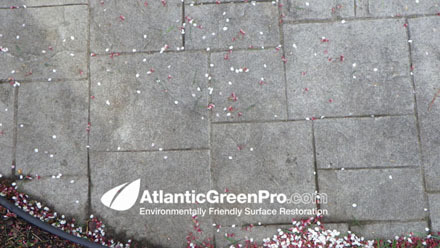 Atlantic Green Pro came out and quickly removed the marks without damaging the pavers. Before surface restoration: This is what the tar markes looked like after pressure washing and solvent washing.... which did not work. 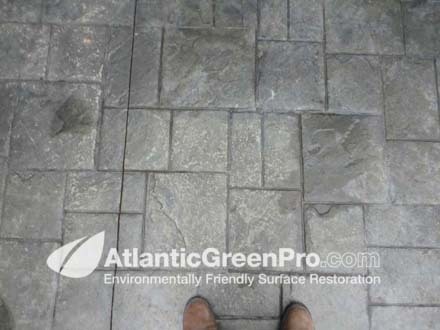 After Atlantic Green Pro surface restoration: This is what the pavers looked like after we used our method to restore the pavers. 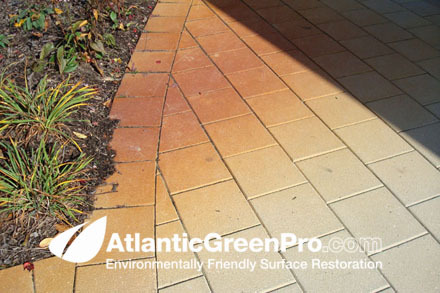 Atlantic Green Pro removes iron rust water stains from pavers, stones, bricks and concrete. 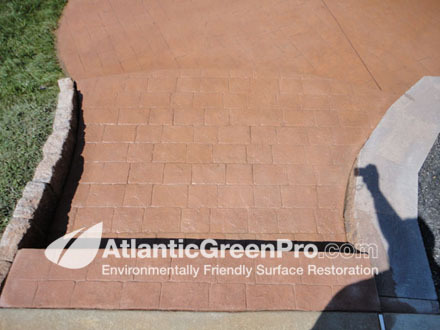 This is a was a job we did where our client asked us to remove iron rust stains caused by well water with a high iron content... again Atlantic Green Pro came out and quickly removed the marks from the pavers. 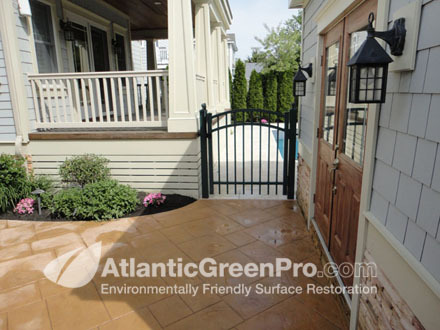 After Atlantic Green Pro's process of dust free wet abrasive blasting safely removes all the iron water stains while leaving the landscaping intact.